Finding the right job is like dating: both parties need to be looking and interested in each other to make it work. Well, we’re looking. Right now, Trinidad’s Canadian division is hiring experienced hands to work on our growing team. “Given our high utilization rate and the addition of rigs to our fleet, we require additional key people,” said Sandi Berube, Human Resources Manager with Trinidad Drilling. In this post, we’ll tell you the top three things we’re looking for in experienced hands and the top three things you can expect from us. 1. Do you have the right experience, skills and values? All positions on a rig other than Leasehand require previous oilfield experience. When Trinidad receives an application, the first thing we look at is your work history. “We look at the candidate’s total rig experience, experience by position and experience by rig type,” Berube explained. When evaluating applications, we’re trying to find people whose values match Trinidad’s values. People who are . . .
2. Are you available to travel? 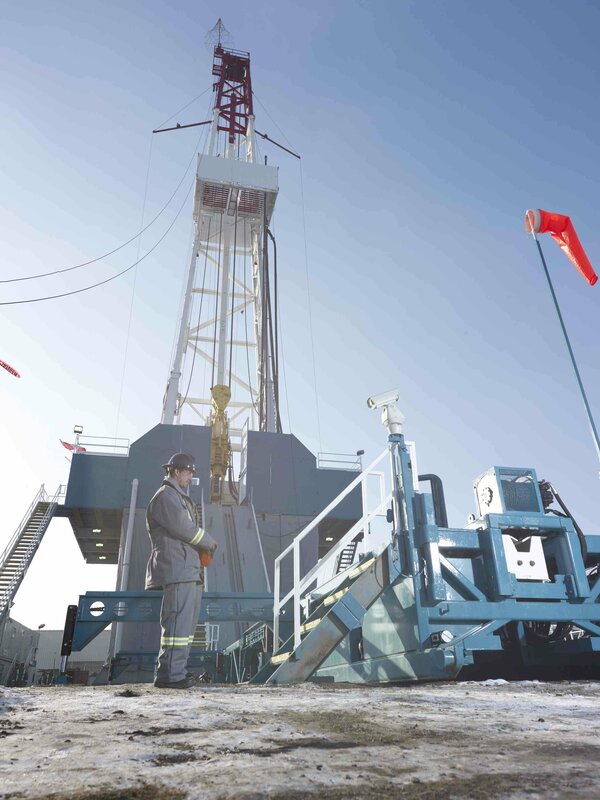 Trinidad’s rigs operate all over Western Canada, often in remote areas, so if a candidate is willing to travel to work, they have a better chance of landing a job. “Candidates who are capable of working both non-camp jobs and camp jobs will have the most opportunity for work, as they can be considered for any job that we have available,” said Berube, who added that Trinidad currently has some openings for fly-in positions. 3. Are you ready to go? Trinidad consistently obtains a high utilization rate, which means our teams have more consistent work year round. However, factors such as lifted road bans, high oil prices and demand for our services mean that we may need people on short notice. Safety should be the No. 1 priority of any drilling contractor. Our TRIF (total recordable incident frequency) is 52 per cent better than the industry average. You can read more about our commitment to safety here. In Canada, we offer health benefits from the first day you join our team (so your son or daughter doesn’t have to wait three months to go to the dentist). You can read about our Canadian benefits plan here. Our rigs are built with the most advanced technology, which makes them safer for our crews. This fresh iron attracts quality people, so our crews are some of the best in the business. “Because of these factors, Trinidad is able to obtain and retain work for our rigs, which turns into more work for our field employees,” said Berube. Our crews end up sticking around because we take care of our team and offer our employees opportunities to grow their careers with us. If you think working with us would be a good fit for you, apply to join the Trinidad Drilling team today. Do you have questions about working with Trinidad? Comment below or connect with us on social media. Thanks for reaching out to us. Please let us know if you have any other questions. Great question, Zach. Openings on drilling rigs are very limited at this time, but if you want to prepare for a drilling career down the road, you may want to check out this post: https://blog.trinidaddrilling.com/2014/01/30/5-steps-to-get-you-on-the-rigs/ It explains how getting a labour background in another industry may help your chances of getting a career on a rig. Hope this helps! Great post! These things are quite acceptable and I totally agree with that. We expect these points from the drilling companies and they should fulfill that. Thanks for sharing. We’re so glad you enjoyed the post, Meghan! Thanks for your feedback.